Bedrock Radio has a heritage that spans back over 50 years! We have a history providing Havering and Goodmayes with patient and community focused radio programmes. Hospital Radio in Havering started off as two separate organisations, Oldchurch Radio and Harold Wood Radio. 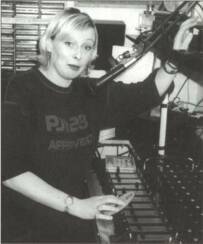 Early Days of Hospital Radio in Havering. Hospital Radio at Oldchurch Hospital had a few different names in its duration from Rush Green Hospital Radio & Radio 174 (named after the bus route that went to the hospital) and finally before the merger in 2002, Oldchurch Radio. Before that the station was believed to have been started by a vicar that used to play records around the hospital. Meanwhile, at Harold Wood Hospital, Volunteers from the Amateur Film Group set up ‘Harold Wood Radio‘ with the first shows broadcast on 14th February 1964. 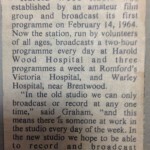 As the station grew and become more established it became ‘Harold Wood Hospital Radio‘ (HWHR), the group also provided programmes to Warley Hospital near Brentwood and later to Victoria Hospital in Romford. Read more about Harold Wood Radio. In 2000 the NHS Trust who operated both Oldchurch & Harold Wood Hospitals wanted a single radio station to serve both hospitals, until the completion of the new Queen’s Hospital in 2006. After much negotiations regarding studio location, site transmission links & setting up a new association, the members of both Oldchurch & Harold Wood Hospital Radio came together creating Bedrock, making it a new registered charity on 22nd June 2002. The newly formed Bedrock used the former Oldchurch studio facilities, broadcasting on 846AM (induction loop) to Oldchurch Hospital with a direct link to Harold Wood Hospital, broadcasting on channels one and two on the bedside radio system. With the first programmes being broadcast on December 1st 2002 and the station being branded as Bedrock AM. Moving Studios – Queen’s Hospital. In 2006 broadcasting ceased at Oldchurch Hospital as the newly built Queen’s Hospital opened. The Hospital Trust provided us with three rooms, giving us a studio, office & storeroom in the aptly named ‘Hospital Radio Corridor’. It was an opportunity for a fresh start and a brand new studio was created. 2009 Studio at Queen's Hospital. While the new studio was being built, volunteers started digitising the extensive vinyl collection. Due to the new facilities being smaller we where unable to accommodate our vinyl collection that had built up over many years, sadly all of our records have now been sold off. We do have a large digital collection of music that is easy to access for our presenters. During the studio construction, Bedrock were being plugged into the new bedside TV systems, run by Premier Telesolutions, with Hospital Radio being Channel One as part of the FREE entertainment offered. By 2009 the new studio & Premier were operational and programmes commenced broadcasting at Queen’s Hospital. Royal Opening – ‘The Cornwall Suite’ Studio. 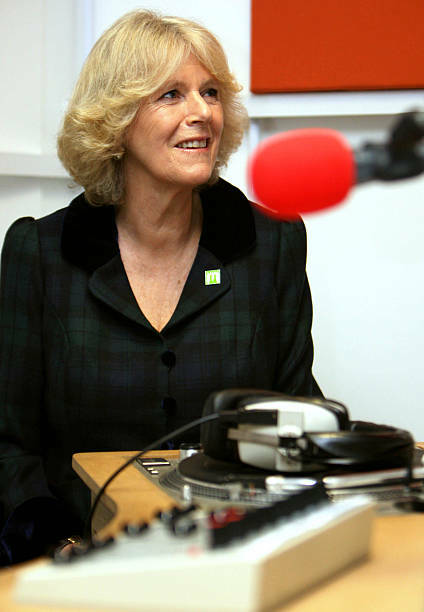 To celebrate our new studios and to re-launch broadcasting in our new home at Queen’s Hospital, our studio was officially opened by HRH Duchess of Cornwall, Camilla on January 22, 2009. A whole host of volunteers past & present where invited to celebrate the re-launch Bedrock. In honour of our royal opening, the studio has been named “The Cornwall Suite“. HRH Camilla made a song request of ABBA’s – Mamma Mia, before visiting the Coral ward to hear her song request & visit patients. On Air – Queen’s Hospital. Bedrock had not fully returned to 24/7 programming by the time we came back on-air in 2009, due to limitations of the IT infsutruture, and our sustaining service was provided by Time FM. Trustees soon invested in a new basic play-out software that could run it’s own sustaining service, once again making Bedrock a fully indipendant a 24 hour station, with the new software capable of being used in live or automated modes. We had a lot of work to rebuild our name from the three years off-air. A new jingle package was introduced as Bedrock dropped the AM suffix (following the sale of the AM Induction loop transmitter) and needed to re-identify ourselves with our commitment to patient entertainment as ‘Your Friendly Station’ and mentioning about our request collectors and how to get intouch with the studio. During 2011 the phrase ‘Your Friendly Station, Your Friendly Choice’ as it starting to sound very tired and a little cheesy, the phrase had served it’s purpose to rebuild our profile within the Queen’s Hospital, it was phased out by the end of that year. To realign the station in order to compete with the other mainstream stations on offer from the Premier Telesolutions system, we refocused our on-air phrase was ‘Timeless Classics & Requests’ getting more to the point of what we do. 2010: Celebrating 10 years of Bedrock. During 2010, we celebrated 10 years of Bedrock. As a birthday surprise the Committee planned a modernisation project to replace ageing equipment and software. With a projected cost of up-to £10,000 being spent on new software, mixers and IT equipment to be upgraded over the next five years. Throughout 2012/2013 we started the upgrade on our studio facilities with more advance software and powerful hardware. Our main studio was ripped apart with a new desk installed, allowing for workspace, guests and better use of the room. Our I.T network received an upgrade too with more up-to-date hardware and software to help future proof the station with additional servers & workstations, allowing our files and music to be stored more securely. Plus the extra workstations enable our volunteers to produce more on-air content and develop features. As part of the major upgrade Bedrock invested in new indusutry standard broadcast software, Myriad as our main system, which is flexible enough to find requested songs and powerful enough to select music that we know patients like to hear. (Our Engineer thinks some mainstream stations ought to be jealous of our set up! 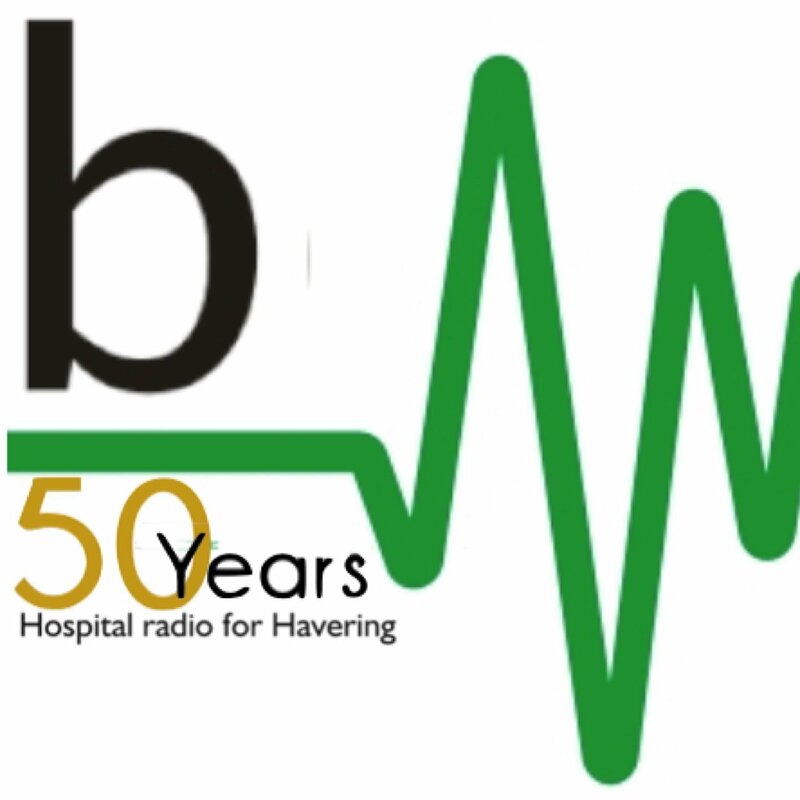 2014: 50 years of Hospital Radio in Havering. 2014 we celebrate 50 years of Hospital Radio in Havering, thanking volunteers past and present for years of helping keep patients entertained in our local hospitals & reflecting at the changes, from early days of providing just a few hours of entertainment a day to a full 24/7 broadcasting service from all our founding stations. 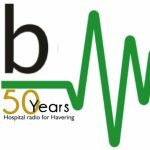 To mark the 50th anniversary of Hospital Radio in Havering, we launched our live web-stream allowing staff, out-patients & relatives of patients in Hospital in the local area to listen online or via their smartphones. Bedrock volunteers where joined by the Mayor of Havering on Sunday 16th February to mark the milestone and launch the new ‘listen live‘ service. In 2015 the Premier Telesolutions bedside system suffered massive decline in working bedside TV units, leading to patients paying for TV’s that didn’t work, or where missing altogether. Bedrock reported concerns to the Hospital Trust as many wards didn’t have working Bedside TVs, resulting in the Hospital Trust and Premeir terminating their contracts. By Summer 2017 All Premier Telesolution TV equipment had been declared defunct and was being removed. A new TV system was installed in the pediatrics ward as a trial for potential expansion across the site. however the new system trail has not progressed any further due to changes in Hospital Trust management, leaving the vast majoirty (approx 90% of wards) without any form of patient entertainment. In March 2016 Bedrock was approached by neighbouring station Goodmayes Hospital Radio Association (GHR) broadcasting as ‘The Jumbo Sound’ in regards to a merger following water damage to their studios. The Goodmayes Hospital Radio Association (GHR) was founded in 1977 when it started broadcasting to the patients of Goodmayes Hospital. Ilford. When neighbouring King George Hospital opened in 1993 Goodmayes Hospital Radio extended it’s reach to serve the then new site. In 2004 Goodmayes Hospital Radio changed it’s on-air name to The Jumbo Sound (which curiously later became name of the radio station in Holby City!) On June 25, 2006 The Jumbo Sound began broadcasting on the internet as a new means of reaching the somewhat disbanded audience. Additionally the station launched it’s new blue and red logo ahead of the big 30th anniversary celebrations. The anniversary was celebrated with special programmes, guests appearances by old volunteers. Towards the end of 2007 The Jumbo Sound moved studios from the original upstairs location on ‘The Bridge’ to a downstairs location offering more space and better disabled access. 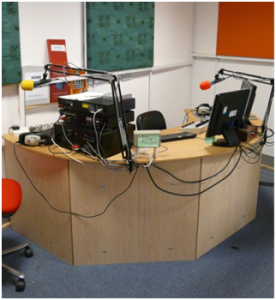 In 2008 NELFT, awarded Goodmayes Hospital Radio a generous grant to update their broadcasting equipment in the new room. Sadly upon moving studios the link to King George Hospital was lost, but the station remained broadcasting to Goodmayes Hospital and online. 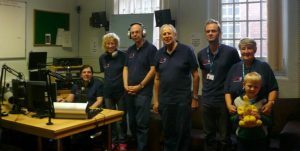 Throughout 2015, Goodmayes Hospital Radio Association celebrated it’s 40th anniversary, with the Mayor of Redbridge visiting the studios along with new and old volunteers. In November 2015 the studio suffered major equipment damage following a radiator bursting and its subsequent humidity forcing the station off-air. While insurers evaluated the cost of the damaged equipment, the remaining volunteers discussed the future of the station. Following volunteer numbers and income dwindling, The remaining members voted to close merging with Bedrock to continue the station’s legacy. As of April 2016 the remaining volunteers of The Jumbo Sound came over to Bedrock with service being restored to Goodmayes Hospital in the form providing a relay of the programmes from Queen’s Hospital while the Goodmayes Studio undergo refurbishment. In June 2016, the refurbishment was complete with the first Live shows broadcast from the Goodmayes Studio in eight months. As a result of the merger with Goodmayes Hospital Radio (The Jumbo Sound) in 2016, equipment and resources needed to be relocated and changes made to accommodate the extra station. Resulting in both studios; Queen’s Hospital & Goodmayes hospital studios undergoing refurbishment. 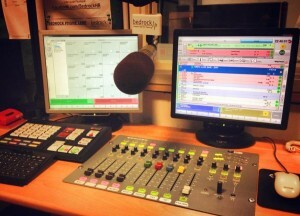 It was decided that the studio at Queen’s Hospital would remain as the focal point of Bedrock, with the Goodmayes Hospital studio being a secondary studio, due to most live programmes coming from Queen’s it was decided the larger Sonifex S2 mixer from Goodmayes would be relocated to Queen’s subsequently a smaller Sonifex S0 Mixer from Queen’s be installed at Goodmayes. We consulted with Broadcast Radio to find the best way of creating our radio network & to also order our new furniture for the mixers. Our most cost effective and resourceful way of operating is by networking the two studio sites together using our playout software Myriad. Brining both Queen’s and Goodmayes studios togeather to share the same automation service and some shared programmes from our main studio at Queen’s Hospital, which is then relayed and broadcast to Goodmayes Hospital. Meanwhile the Studio at Goodmayes has the capacity for localised live programmes to be broadcast specifically from the Goodmayes Studio, while a separate shows is broadcast from Queen’s. The studios have both received a repaint, along with new bespoke furniture, making the facilities appear very fresh & modern. To adapt to our wider audience following the Goodmayes merger, Bedrock dropped ‘For Havering’ from our logo. We now identify as a ‘Community Health & Hospital Radio’ station, We introduced a new on-air slogan of ‘Your Healthy Music Mix’ which has found it’s way into our new on-air jingle package, along with some hospital specific sweepers for the networked sites. In June 2016 as part of the merger and studio rebuilds, Bedrock Radio launched our very own mobile app, thanks to the team at AudioSpace. Many people now own a smartphone or a tablet device, we have witnessed many patients, visitors and staff bringing their personal devices into hospital to keep them connected to the outside world. 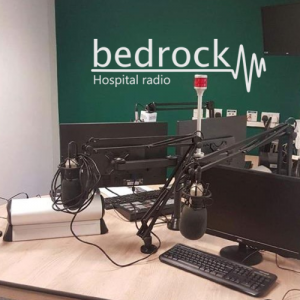 Bedrock Radio launched a free mobile app, to encoruage patients to listen via the Free WiFi that is avalible across the hospitals, esepcially in locations such as Queen’s and King George Hospital where there is no dedicated Bedside TV systems intalled. Additionally, we can now outreach to the many outpatients accross the local community. Our app not only allows you to listen live to Bedrock Radio, or Bedrock Radio Goodmayes, but you can also keep updated with News, Weather and Travel. Bedrock GOLD was developed from survey results from patients music tastes and request slips over the course of two years. Our results showed a diverse range of music that matches the age ranges across the hospitals we serve, from Sam Smith to Frank Sinatra, Adele to Vera Lynn. Our survey also highlighted massive jumps between the music decades was making it hard to retain listeners, the results showed while some of us prefer listening to great time oldies from the 50s 60s and 70s. Others wanted 80s, 90s 00s and today’s chart, but would hardly cross over or would turn off if too much of the other was played. In 2016, during the creation of the Bedrock Radio Network, we made the bold decision to start splitting our station up and create a second channel that caters towards our older audience, and those who love the music from yesteryear! Great Memories, Classic Hits, Bedrock GOLD features on our mobile app and online at gold.bedrockradio.org.uk. 2018: Charitable Status & Name Change. As of October 2018 we where successful in registering a new charitable incorporated organisation (known as a CIO) with the Chairty Commission. This modern charity format allows for more flexibility in our operations, and essentially makes our new charity, Bedrock Radio, similar to that of a company limited by guarantee. Formally, we will be merging the old chairy into the new one. Fomally our name goes from Bedrock to Bedrock Radio. Bedrock Radio has list of potential ideas we would like to achieve over the next 10 years. All our future plans must help further our charitable objective. Note: Items in bold are current projects in progress. Upgrade ward speaker system at Goodmayes Hospital (Ilford). Continue to build relationships with NELFT and seek to expand across their local clinics. Recruit new active volunteers to further the CIO charitable objective, and introduce new skills. Raise further awareness of Bedrock Radio & encourage local people to ‘Make the switch to Your Healthy Music Mix’ to keep updated and receive health information. Encourage small local health & well-being charities to work with us to promote their causes. Encourage larger charities and companies to work with (or sponsor) Bedrock Radio. Develop an on-air sports show, with a focus on local sports to encourage local fitness and support. Introduce interactive content to Bedrock GOLD, engaging with local elderly care homes.